H.E. Archbishop Richard Paul Gallagher, Vatican Secretary for Relations with the States and H.E. 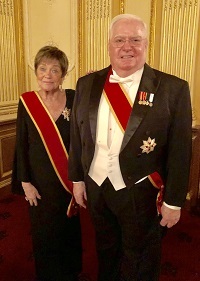 Archbishop Bernardito Auza, Apostolic Nuncio and Permanent Observer of the United Nations, bestowed this historic honor on Gary and Meredith Krupp. The beginnings of Pave the Way Foundation started July 2000 when Pope John Paul II bestowed Gary Krupp as a Knight Commander into the Papal Order of St. Gregory the Great. Gary Krupp was the seventh Jewish man in history to received this rare honor. Then January 2007 Gary Krupp Pope Benedict XVI raised Mr. Krupp in rank to a Knight Commander with a Silver Star. 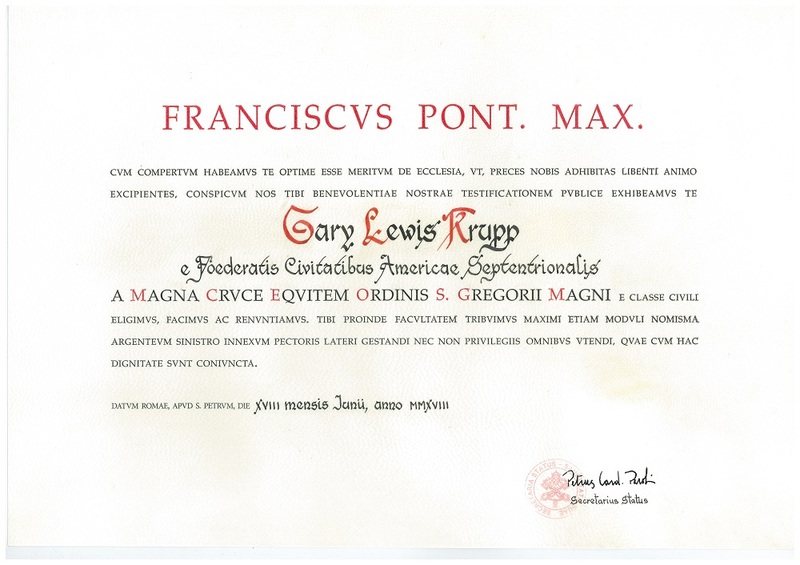 Now on October 1, 2018 Pope Francis raised Gary Krupp to the Highest level of Knight of the Grand Cross of Pontifical Equestrian of St. Gregory the Great. 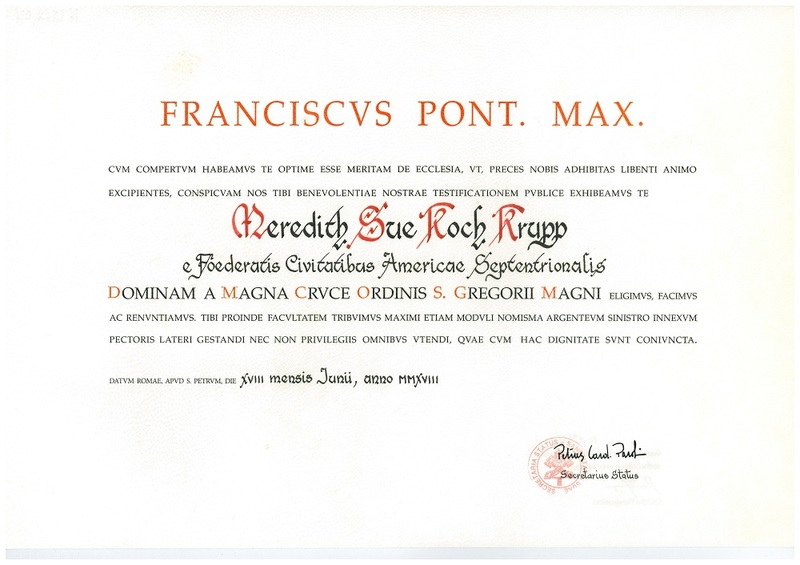 In addition Pope Francis bestowed the honor of Dame of the Grand Cross to the Pontifical Equestrian Order of St. Gregory the Great on Meredith Krupp. Meredith Krupp is the only Jewish women in history to receive this honor.